Honest employment is important but earthly work is not the primary focus of the Christian. Men of the world are defined by their jobs and judge one another by the prestige of the job title, their authority, or salary. Christians have a job that has nothing to do with the workplace. The kingdom of God is our primary occupation, Matthew 6:31-33. But Christian men are commanded to work! Paul condemned men who would not work in 2 Thessalonians 3:6-12. The Christian’s career should support godly service. 2 Corinthians 8 describes Christians giving of their money to help needy Christians. We work so that we can provide for our own and help others. I have known extremely successful people who were alienated from their children and often divorced. No amount of money or possessions can replace the importance of family time and influencing them to serve God. Christians overly focused on a career may lose their soul since they neglect to feed from God’s word, pray, and do not serve in the kingdom. As Mark 8, quoted above, and Matthew 16:26 observe, it is of no profit to achieve great success and financial wealth at the cost of your soul. As great as you may be at your job, you can be replaced (and you will be replaced). The President of our company often notes that the cemetery is full of business people who thought they couldn’t be replaced. Ecclesiastes 5 describes the vexation and emptiness of great possessions. The possessor cannot enjoy wealth for fear of losing it to bad investments, thieves, or con artists. Perhaps worse is working hard in the heat of the sun to leave your wealth to a lazy person who is given the money gets to spend it. A young person may say that he wants to pursue a particular type of career. Often the reply will be, “You can’t make money doing that” or “You may have a hard time finding a job doing that.” I’ve told young people going into unique careers that older people often respond this way when they don’t know anyone who does that type of job or do not know much about it. In fact, I have heard older people give young people advice to go into a certain career field that was undergoing massive job layoffs! In the past they knew that this kind of job paid well and was stable but their information was outdated. I’m not saying don’t listen to the advice but take it as advice, not the absolute truth. 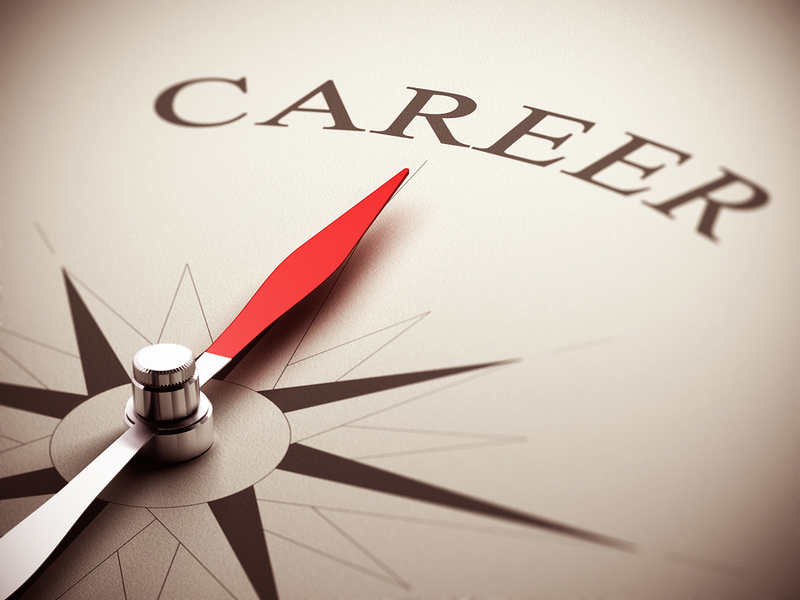 Investigate career paths for yourself. Learn what you have to do to succeed and pursue your dream. Perhaps your dream job doesn’t pay a lot but if you can conform your life to live within that pay then you will be successful. If you are not covetous requiring the nicest house, cars, clothes, luxurious vacations, eating out all of the time, etc. you can live the life described in Ecclesiastes 5. There was a career path I would have loved but didn’t pursue it because I listened to the “experts” in my life telling me that it wouldn’t be a good choice. Sadly, I gave up something I would have really enjoyed instead of trying to see how I could make it work. Sometimes parents will drive their children fulfill the dreams they didn’t pursue. A father may have been a good athlete but didn’t play at the college or professional level and pushes his child to do this. The child may want to please his father but does not have the heart for sports that his father did and will be miserable playing. Some people, following the dreams of their parents, pursue careers as accountants, lawyers, business owners, or other high profile jobs and are miserable because they wanted another career path. If you are in this situation, discuss your dreams with your parents, be prepared to deal with the objections mentioned in the last paragraph, and share the career path you want to pursue. With career, as with choosing someone to marry, choose one that will help you serve God, draw closer to God, and live in godly contentment. A mature person works when it’s not fun and he is tempted to goof off. Proverbs 12:11 and 28:19 reminds us that we are rewarded for work, not laziness. Talking about work accomplishes nothing; doing the work has profit, Proverbs 14:23. Remember your career is built with each job you have no matter how different the work is compared to what you ultimately want to do. Flipping burgers, cleaning restrooms, sweeping floors, or stocking shelves are steps upon which you can build a successful career. Doing these jobs well helps you build up to greater responsibilities and more pay. Consider especially the wisdom of Colossians 3:22-24: Don’t just work hard when the boss is watching but work as if Jesus were your boss. Besides, if you don’t work hard when the boss is not around it will still be obvious because your production, or output, will indicate your work ethic. So work hard at whatever you do. A good attitude toward every task will lead to increasing responsibility, accountability, and rewards. There is work that does not seem challenging, or might seem beneath you, and you are tempted to not do your best as you wait to do greater work. It is doing the little work effectively that paves the way for you to be given greater work. What value do you provide to an employer? Always remember, the company does not exist to provide you a job; the job exists because the company has some work that needs to be done. It’s not about you. Working hard to achieve financial independence is the pleasant reward for hard work. This means developing independence from your parents: You’ll probably have to live without many luxuries but you can have your independence. When my wife and I married we had the first meal in our apartment on an overturned cardboard box instead of a table. We have a lot of used furniture, shop at thrift stores, and do without many luxuries in order to live within our means. When you are depending on someone else for financial support they exercise some oversight of how you spend your money. For example: You loan a friend $20 and he comes to you on Thursday and says he can’t pay you back until next week but you really could use the money. Sunday afternoon he asks if you’ve seen the latest movie that just came out this weekend because he saw it with his girlfriend and it was SO good! They aren’t able to use the money because they are paying some of your bills but, like that loan, you also give them some control and the right to question how you spend your money. This is especially true if you have moved out of the home and are in your own apartment. Work to develop full financial independence even though it will mean that you won’t have these luxuries you have come to enjoy. You can learn to enjoy playing cards, board games, or video games with friends. You can learn to cook your own food and save a LOT of money over eating out. You can lay your head down on your pillow in your second hand bed with a light meal on your stomach and be proud that you are paying all of your bills. Sometimes situations arise where you need to move in with your parents or accept some support but strive to make that period short if at all possible. Proverbs 3:9-10 reminds us to honor God with our possessions and our income. Remember: the purpose of your career is to allow you to serve God and take care of your family not feed selfish desires or serve only your needs.